A clip from the sets of popular fantasy-drama TV series Game of Thrones has been leaked. In the leaked clip, we see Kit Harrington (Jon Snow) shooting a scene for the show’s upcoming season 7 and you won’t believe what’s going down. 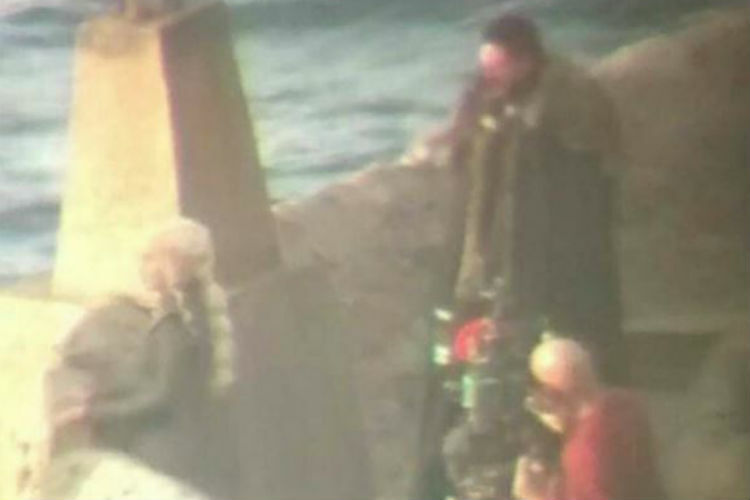 On the sets, we see Harrington in a scene with Peter Dinklage (Tyrion Lannister), Liam Cunningham (Ser Davos Seaworth), Nathalie Emmanuel (Missandei) and *drumroll* Emilia Clarke (Daenerys Targaryen). The leaked clip spoiled the much-awaited meeting of the Targaryen queen and her Stark nephew. The cast was spotted in Basque Country, Spain implicating that the meeting took place further south. This means that Jon Snow would be travelling south, perhaps to Dragonstone, to meet the Targaryen queen. Earlier rumours suggested that the showmakers were shooting at a location with ruins which fit the description for Dragonstone, the place where the Targaryens would house their dragons. Thus far, all rumours and theories have been consistent. The leak has been attributed to a local press which sneaked in a camera. 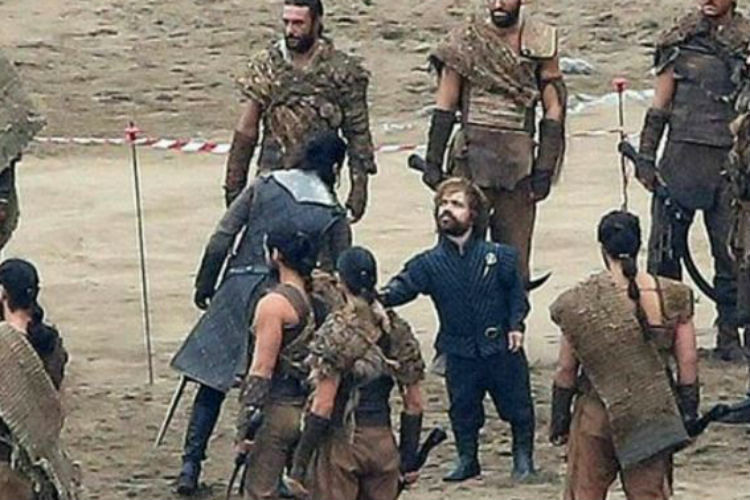 Further images reveal the Unsullied and the Dothraki guarding what looks like a palace and a reunion between Jon Snow and the Hand of the Queen, Tyrion Lannister. The two will be meeting right after the pilot episode when the Lannisters showed up at Winterfell and all hell broke loose. Missandei, Daenerys’ translator and closest friend, will be getting a wardrobe update. The Essosi will not be showing much skin as she did in the previous seasons. Perhaps it’s cold for her even in the south of Westeros. Another big reveal was related to a character who has been rowing a certain boat since season 3. Yes, Gendry! Reports have suggested that Joe Dempsie, the actor who plays Gendry, was seen on the sets of Game of Thrones. Apparently, he will be returning to the exact same spot where he left us, Dragonstone. All that rowing for nothing, huh?